The need to increase food production to feed an increasingly growing world population has led to an intensive use of pesticides. Globally, 4.6 million tons of chemical pesticides are sprayed into the environment every year1. Out of the total consumption of pesticides, 17.5% are in the form of fungicides. However, pesticides have undesirable characteristics, such as the development of pathogen resistance and long degradation periods, and negative impacts on the environment, like soil and water pollution, bioaccumulation in the food chain, toxicity to non-target organisms and public health problems2. Therefore, new environmentally friendly natural products, which are effective, safe, biodegradable and leave no harmful residues are needed. Propolis is a natural resinous mixture made by honeybees (particularly Apis mellifera L.) from various plant sources and processed with salivary secretions. More than 300 different compounds have been identified so far in propolis, including several bioactive compounds such as flavonoids and phenolic acids and derivatives, which are characteristic of plant secondary metabolism and are related with diverse biological properties like antimicrobial and antioxidant activities3. In this work we evaluated the antifungal activity of ethanolic extracts (EE) from Portuguese propolis samples against phytopathogenic fungi species responsible for considerable damage in several economically important crops. Results showed that different propolis samples have different fungitoxic efficiencies but also that different species exhibit different susceptibilities. Globally, these findings suggest that propolis EE can be explored as source of biofungicides for application in a more sustainable agriculture management. In order to evaluate this propolis application, its phytotoxicity will be studied using in vitro flax plants (Linum usitatissimum L.). Acknowledgments: This work is supported by: European Investment Funds by FEDER/COMPETE/POCI– Operational Competitiveness and Internationalization Programme, under Project POCI-01-0145-FEDER-006958 and National Funds by FCT - Portuguese Foundation for Science and Technology, under the project UID/AGR/04033/2013. 1. FAO (2017) Available at http://www.fao.org/faostat/en/#home (accessed July 2018). 2. Ali EOM, Shakil NA, Rana VS, Sarkar DJ, Majumder S, Kaushik P, Singh BB, Kumar J (2017) Industrial Crops Products 108: 379-387. 3. Fokt H, Pereira A, Ferreira AM, Cunha A, Aguiar C (2010) Current Research, Technology and Education Topics in Applied Microbiology and Microbial Biotechnology 1: 481-493. ISNAD PASSÃO, Catarina , RODRIGUES, Claudia , AGUIAR, Cristina Almeida , CUNHA, Ana . "Portuguese Propolis: A Potenial Source of Environmentally Friendly Fungicides". 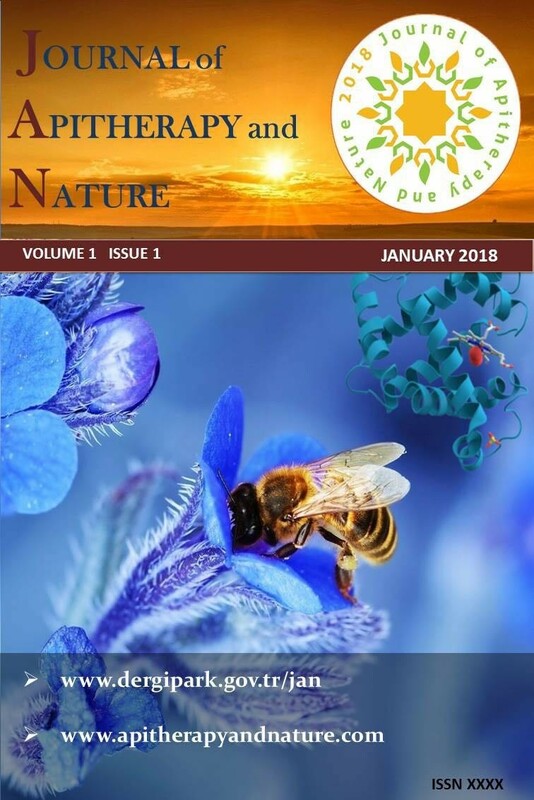 Journal of Apitherapy and Nature 1 / 3 (December 2018): 58-58.